NEW YORK -- Michael Bloomberg, the billionaire former three-term mayor of New York City, has opted against mounting a third-party White House bid that could have further roiled this year's already extraordinarily unpredictable presidential campaign. 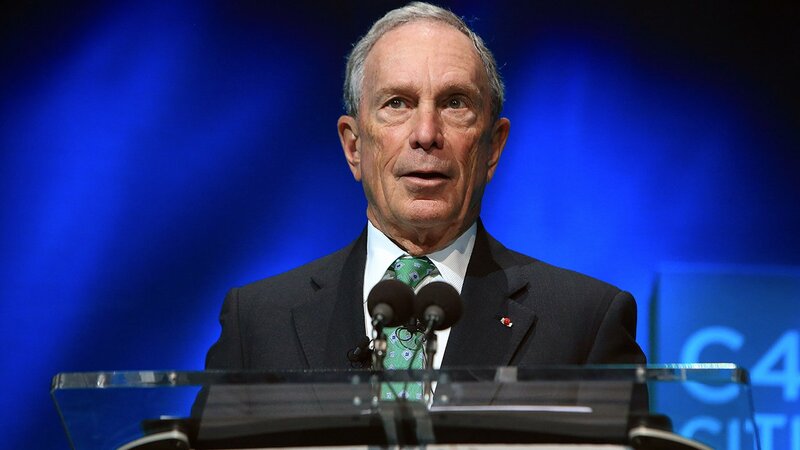 Bloomberg, who has spent months mulling an independent campaign, made his decision official through an editorial posted by the Bloomberg View. "There is a good chance that my candidacy could lead to the election of Donald Trump or Sen. Ted Cruz," Bloomberg wrote. "That is not a risk I can take in good conscience." The former mayor - who had indicated he'd have spent $1 billion of his own money on the run - had set a mid-March deadline for his team of advisers to assess the feasibility of mounting a run, believing that waiting longer would imperil his ability to complete the petition process needed to get on the ballots in all 50 states. Those close to the process said Bloomberg had believed the dominance of Donald Trump among Republicans and the rise of Bernie Sanders amid Democrats had opened a centrist lane for a non-ideological, pragmatic campaign. But Hillary Clinton's string of recent victories has given her a firm grip on the lead for the Democratic nomination and is blocking Bloomberg's possible path, aides to the mayor said. The decision concludes Bloomberg's third and likely final flirtation with a White House run, a possibility that had grown popular among New York's business class and, the mayor's aides had believed, could have resonated with moderates and independents across the nation dissatisfied with the polarization in Washington and the rise of the political parties' fringes. Aides to Bloomberg, the 74-year-old Democrat-turned-Republican-turned-Democrat-turned independent, have said their own polling suggested that Bloomberg had a viable path to the needed 270 electoral votes if Trump, whom had disgusted the ex-mayor with his inflammatory rhetoric, and Sanders were the nominees. But an Associated Press-GfK poll conducted last month suggested that six in 10 Republicans and Democrats alike said that would not consider backing Bloomberg.